The past few years have brought a flurry of venture funding for startups, with about $67 billion being disbursed via the completion of roughly 6,370 deals just last year for US startups. Alongside the skyrocketing deal activity, however, have come propped-up valuations, making it difficult for startups to raise subsequent rounds at favorable terms. 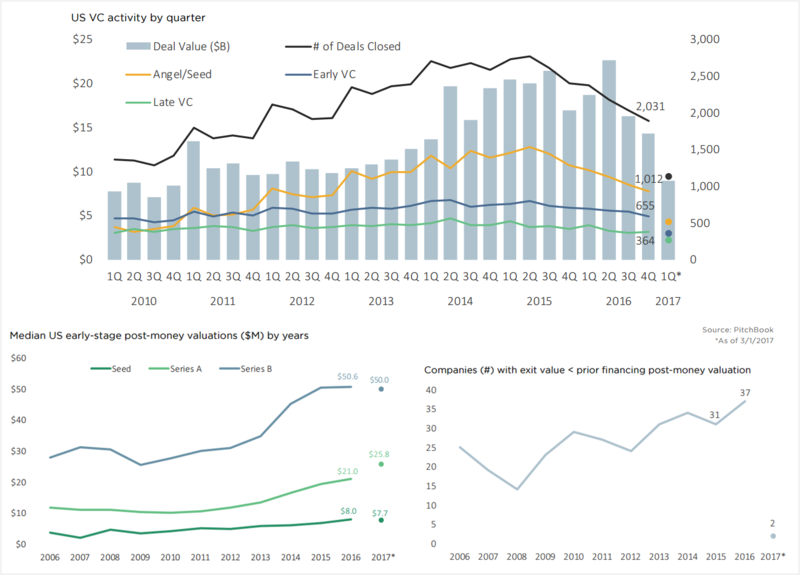 Rather than raising a new equity round at a sub-optimal valuation or seeking a premature liquidity event, some startups have been turning to another type of financing: debt. 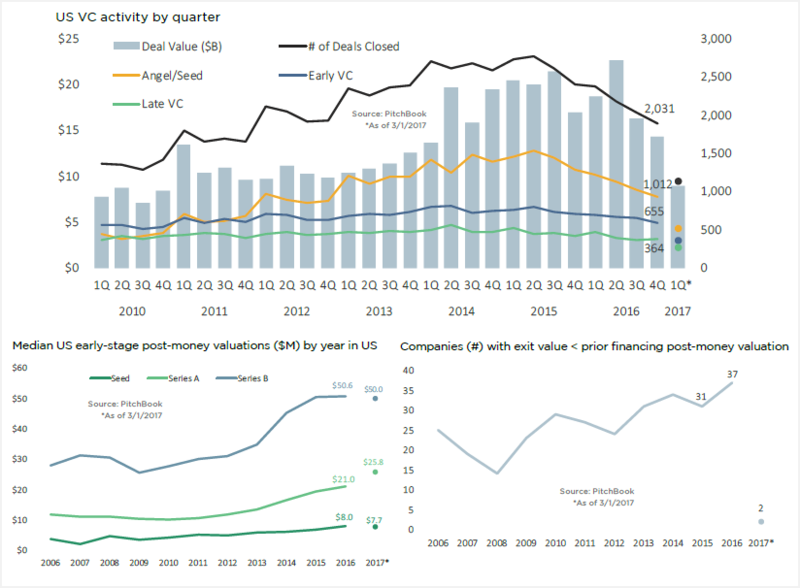 The total number of deals completed annually by US-based startups that were at least partially made up of debt increased each year from 2008 to 2015 (the number took a small dip in 2016, but that follows general venture trends). The cumulative size of these deals has also skyrocketed, from $4.3 billion in 2013 to almost $14 billion last year, according to the PitchBook Platform. It is worth noting that a decent part of the deal value can be attributed to massive debt rounds secured by companies like Uber and Airbnb. Last year news broke that the ridesharing giant was raising up to $2 billion in a leveraged loan, while Airbnb nabbed $1 billion in debt for itself. To dig further into these types of rounds, check out our previous post explaining why the biggest unicorns in the world took on billions in debt. Although debt can be attractive for a number of reasons, it can also come with a certain amount of risk. As USV’s Fred Wilson and Dan Primack of Axios both recently pointed out, if a startup is unable to achieve the amount of growth it forecasts, the debt ends up acting as more of a time bomb than growth equity. We recently saw just this scenario play out when Jet.com announced it was acquiring women’s fashion retailer ModCloth. Although financial details weren’t released, Axios has the deal pegged close to $40 million, far below even the roughly $76 million of venture funding ModCloth had raised. What led to the fire sale? According to Axios, it all stemmed from a failed attempt at raising a Series C in 2013. After an unsuccessful fundraise, the company elected to instead accept $20 million in unsecured debt, likely with hopes that it would be able to use the debt to grow the company and raise another equity round at a more favorable valuation. Sadly, the growth never materialized, and when Jet.com caught wind that ModCloth’s debt was coming due, it pounced on the opportunity to purchase the company at a steep discount. A similar story is said to have also led to the demise of mobile search company Quixey. Founded in 2009, the Mountain View-based startup raised about $134 million in venture funding and was valued as highly as $600 million in 2015. With millions in funding from venture firms and corporations alike and an ever-rising valuation, everything seemed to be going well, at least from the outside. But earlier this month, in a surprise move, the company announced that it would shut down. Axios broke down a timeline of events leading to the abrupt announcement, which includes the Hail Mary $30 million loan secured last summer from existing investor and business partner Alibaba. In the end, the company wasn’t able to progress enough to raise another equity round to cover the loan when it came due, and Alibaba elected to end the business. These stories should serve as a warning to founders who are looking at the various ways to finance their startup. Although debt might seem attractive, with companies like Uber, Airbnb and Didi Chuxing raising massive rounds, it has the potential to pull the rug out from under a business once the loan comes due.